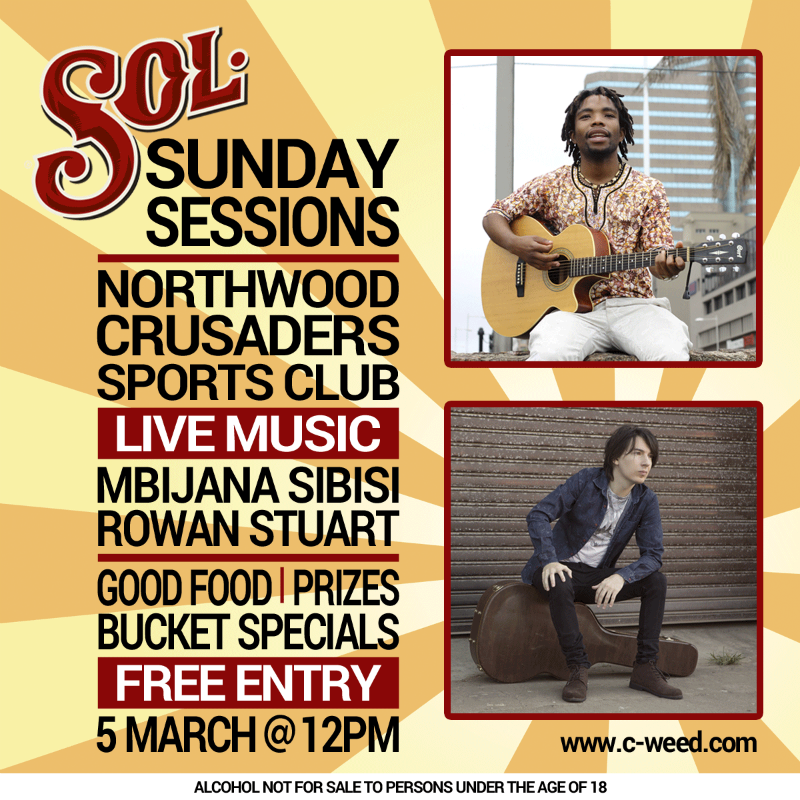 Spice up your Sundays at the weekly Soul Sunday Sessions at Northwood Crusaders Sports Club in Durban North. Expect a great line-up of live music, good food, drink specials and loads of fun for the whole family. Entrance is FREE and there is plenty of parking, as well as open and undercover seating if the weather doesn’t play along. Proving to be a popular way to spend a relaxing afternoon with friends and family, these weekly events also help to raise funds for Crusaders to continue developing sport in the community. So end your weekends off on a high note and head to Crusaders every Sunday – see artist line-ups below. Non-members and children welcome. (Ample space for the kids to play plus a jumping castle courtesy of Marshall Security.) Food and drinks will be on sale and no alcohol may be brought onto the premises. Crusaders is at 10 Ranleigh Crescent at the bottom of Swapo Road/Broadway. Enquiries: 031 563 0824 or 082 892 6176. You can also keep up to date on all the latest news and performance times by liking the Soul Sunday Sessions Facebook page here. Musician’s Gear Zone, supporting local artists at the Sol Sunday Sessions!